The words “Cryptocurrency” and “Bitcoin” are perhaps two of the biggest catchphrases around at the moment. But some of you might be wondering what is a cryptocurrency? Are cryptocurrencies another form of currency or are they more like shares? How and where can you buy cryptocurrencies? Should you even buy them? This ultimate guide will answer all those questions. Two types of cryptocurrencies tend to exist: The first type of cryptocurrencies tends to try and perform the function of existing currency by serving as a store of value and a medium of exchange. Bitcoin is such an example. The second type of cryptocurrencies are ones that tend to function more akin to shares and they are bought and sold on the cryptocurrency exchanges instead of the stock exchange. The value of these coins are usually quoted in terms of Bitcoin (BTC), Ethereum (ETH) or USD. Now you may be wondering if one type of coin is better than the other? The answer is no, not at all – You just need to be clear on what type of coin you are buying when you are deciding to invest in these currencies. Why Are Cryptocurrencies So Hot Right Now? Decentralised markets/ cryptocurrencies allow people to engage in trade directly with each other. This means instead of relying on the centrally-controlled middleman such as banks users can use their own computers as the infrastructure required to send money to each other. For the first time, one does not have to deal with a bank and be charged by an institution to hold your money. Now you can hold your own cryptocurrency directly in your own personal electronic wallet and receive and send payments any time to anywhere in the world in a matter of seconds. This results in a way more quicker and efficient transfer process. Now you can move funds from Australia to England in a matter of seconds instead of days. As you can imagine banks are scared! Blockchains are a distributed public or private ledger that store information. Data is stored in each block on the blockchain. In the case of Bitcoin, the data stored in the block is Bitcoin transfer transaction information such as the name of the sender and the number of coins transferred which are all stored and recorded on the blockchain public ledger. When transactions are made they are then recorded together and stored in blocks and when the blocks reach a certain size, a new block is added to the blockchain. Each block contains a host of different security elements such as the current block number as well as the number of the previous block that it connects to. When a block is finished compiling it is given a unique number known as a Hash ID which acts like a fingerprint for the block. Once a block has been created If the contents of the block are changed this will cause the hash or fingerprint of the block to change. Each block contains it’s own unique hash or fingerprint as well as the hash/fingerprint of the previous block. To give you an idea of how secure blockchain is believed to be, NASA tried to use supercomputers for months to try and hack blockchain and add fake blocks to a blockchain with no success. For the first time in history, we now have a totally secure and transparent method of storing data in a non-centralised way that is not dependent upon any one server or company. 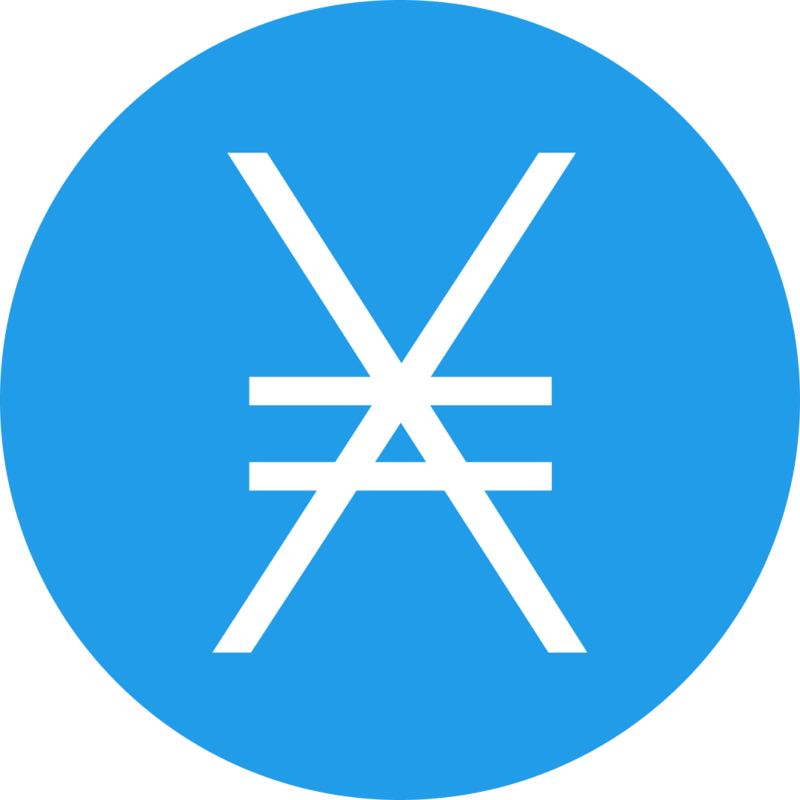 Most currencies have limited supply. In the case of Bitcoin this is approximately 21million bitcoins. This means that unlike what currently happens in society where a government can keep printing currency as they need it, the total supply of a cryptocurrency is capped. This allows investors to have more certainty over the value of their investment and not have their investment devalued over time by the creation of new currency. Perhaps though, one of the other biggest reasons is the return on investment able to be gained from investing in these technologies and coins. The shift in technology we are seeing is akin to when the internet or the first computers were created. As people begin to adopt / implement this new technology the value of the sector increases and so does the money that pours into the sector. Just think about when mobiles or computers were first invented. In the early days, only a few people had mobiles and computers but as the market grew the and the technology improved so did usage and adoption of resulting in new industries, companies and increased share prices. As a result, we are seeing crazy gains. What Could A Blockchain Future Look Like? The power of cryptocurrency and blockchain is going to revolutionise the way the world operates. In the world of finance and banking more than likely, we will all hold digital wallets that will allow us to tap with our phones and pay in a digital currency of our choice and storing our currency in our own personal electronic wallets instead of a bank account. However, some say the biggest threat to blockchain is the decentralised nature of the blockchain. What this means is that no single person or government has control over the blockchain as blocks are only added to the blockchain when multiple are users confirm that the block is valid. The problem with this is that governments like to have control. Therefore, one possible avenue that may play out is that there may be a government imposed legislation or bans on cryptocurrencies like Bitcoin as Governments may begin to worry about money laundering. This could lead to the only legal cryptocurrency that becomes available are national cryptocurrencies. For example countries like Russia have already been exploring the creation of the crypto-rouble. This could result in Russia only allowing payment in crypto-roubles where all transactions are recorded on the blockchain. As a result, this would then eradicate a lot of money laundering and black market transactions as all transactions would now be completely identifiable and traceable. This could leave the cryptocurrencies that function like shares as the remaining main cryptocurrencies in existence. Irrespective the common denominator will be that there will be increased regulation in this sector which will also allow investors to invest with greater confidence and certainty. In case you haven’t realised Blockchains are also perfect for storing information. Now the first Blockchains were quite primitive and could only store simple data like transaction names and amounts. However, now blockchains are being able to store complex data like videos and software. Therefore, in the future, we will most likely have huge global blockchains that store all our personal information like birth certificates, medical records, criminal history and travel movements. Privacy will well and truly be dead. But it would also result in improvements to our life where for example say you went on holidays to Jamaica and you got sick the hospital in Jamaica would be able to plug into the blockchain and gain your full medical history allowing you to get the best possible care. We’ll ALL probably all have unique currency wallets where governments can track ALL payments and receipts. What it also means is that countries like Africa will have whole generations who have never had a bank account and never will – instead, they will simply hold their own money in cryptocurrency wallets. Purchases of cars, properties and any other assets will be completely identifiable on a global scale allowing you to verify ownership / legal title comfort. Companies will store all financial records on a blockchain for complete transparency and ease of auditing and review. We will have increased levels of globalisation and global markets that never sleep. The world of investing is ruled by one general key principal risk versus return. This means the riskier an investment the more you should expect in return for putting your money at risk. This is why banks charge more for lending you money through your credit card versus through a home loan/mortgage. The second principle that most people often are not aware of is something that I like to refer to as the lifecycle principal. What this means is that your age and your stage of life should influence the way you approach investing. So what do I mean by this? Well to put it simply the younger you are, the more time you have on your side. Put simply a 20-year-old has more time to build and lose multiple fortunes compared to a 60-year-old approaching retirement. Therefore, I personally believe that your age and position in the life cycle should influence your approach to investing. The younger you are and more obligation free (i.e. not strapped into mortgages, families etc) you should look to invest in high-risk speculative investments which if they come to fruition they will pay you handsomely. However, as you get older and your wealth grows, since you have less time to earn back your fortune/life savings you should look to put fewer assets at risk and start protecting your assets / securing your future retirement. As let’s face it a 60-year-old has less time to earn a fortune than a 20-year-old. While a 60-year-old has perhaps 5% of their wealth in high-risk speculative investment, 45% in medium risk property/shares and 50% in cash / low risk assets. While it can be easy to get tempted/suckered in by the returns, I would recommend you do a quick self-audit of your asset position, obligations and lifecycle in order to determine what an appropriate investment amount is. I personally firmly believe that there are no better assets to buy at the moment which can give you 30% – 100% returns in such a short space of time. I also firmly believe that you should invest a portion of your assets into high risk speculative investments and definitely do not recommend going ALL IN. Instead, you should hold a balance of different assets from cash, shares, property to cryptocurrencies. As let’s face it if it doesn’t come off then you’re only going to have work an extra month of your life. But if it comes off you can easily make tens, hundreds or even millions from cryptocurrency. Are these crazy gains sustainable? As you can imagine, the potential for blockchain and cryptocurrency technology is GINORMOUS. This is why a lot of people are saying this is the biggest technology shift since the creation of the internet. These sort of returns will not be able to be sustained forever. However, like when the internet first came out and the subscribers went from hundreds to thousands to millions to billions assuming no adverse government regulation we can expect this industry keep on growing as the money begins to pour into this sector. As many coins only have a finite supply this should theoretically only cause the price of a lot of coins to increase, Hence what happened with Bitcoin. What Causes The Huge Cryptocurrency Swings? Two of the main drivers of the huge swings in coin value (and yes I am talking about swings sometimes up to 100%+ price changes in a day) is the infancy of the market. Nobody really knows what is going to happen in this market. As a result, no-one really knows how governments are going to react. Cryptos could be legal today and illegal tomorrow. Rumours combined with the onset of social media and global markets mean that investor sentiment can be influenced in the blink of an eye at any point in time. Therefore, if China or Australia announce that they are going to ban cryptocurrency fear and panic spreads causing large-scale sell-offs and doomsday predictions to occur. Similarly, when positive news comes out, this causes the news to spread quicker than ever and the price to grow. Now that we have global markets, we can have people buying into a particular coin and wanting a piece of the action whether they live in Pakistan, Libya or London. People literally from all corners of the globe wanting to get in on the action ALL bidding up the price of a coin in a truly global market that never sleeps. The second factor is ever increasing user adoption. With finite coin supplies and global markets, the law of economics says when demand for a coin increases and supply remains fixed this is only going to result in one thing: Increased coin prices. As the markets move from a growing market to a mature market along with further regulation, I believe we will begin to see increased price stabilisation. What Coin Investment strategy should I Use? When investing in cryptocurrency there are two main strategies that people use. 1 – The trading strategy – this is where investors try to capitalise on the short term fluctuations to increase their coin holdings or cash out for fiat currency by buying and selling in a short space of time. My advice would be that if you’re not knowledgeable or don’t have the time to monitor the market, perform technical analysis, read graphs and charts in order to understand how the market is moving then you are best off simply buying and holding. It is important to understand that investing in cryptocurrency is akin to gambling. What you’re effectively doing is speculating on the success of a technology company and the value their coin currency going up. If you want to understand more about the project you’re investing in, the best way to find out more information about the project is to go onto a coin’s website and check out what their objective is. The best coins to invest in seek to solve real-world problems which will give them a good long-term chance of success. Each coin tends to release a white paper (in Verge’s case a black paper) which details the objective of their project. This is a good place to start but can quickly turn quite technical. Most coins then also release a roadmap on their website which details how their project is progressing. Another good way to stay up to date on a development project is through a coin’s twitter feed. The other rule of thumb that I tend to use is to make sure the coin you are investing into is solving a real-world problem. Verge or XVG – Verge allows users to send transactions publicly or privately – giving users the option of privacy when making purchases. Ripple or XRP – This allows banks to send money instantly around the world. This will hopefully improve customer service and reduce international transfer times. If you don’t have time to research hundreds of different coins then one of the best investments out there, in my opinion, is cryptocurrency20. Cryptocurrency20 is a fund that invests in the top 20 coins and then gives investors a share of that investment in proportion to their holdings. The only difference is they trade on cryptocurrency exchanges and that you need to open an account with a cryptocurrency exchange before you commence trading. Now if you have your heart set on a specific cryptocurrency it is important to note that due to the market being so young, not all exchanges list all coins.